A contemporary dsiplay of Orange Vanda in an elegant Revel vase. 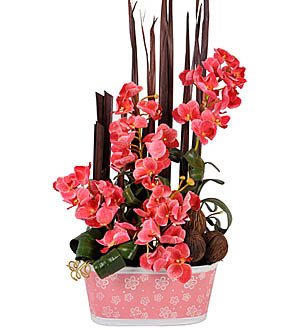 Vanda Orchids also available in rhapsody pink and lavender. Measures 89cm.